Vector borne diseases (VBDs) include diseases transmitted by insects like mosquitoes, ticks, mites etc. India has a huge population at risk in areas conducive to breeding of various vectors due to its diverse agroclimatic factors. In India, five VBDs transmitted by mosquitoes viz., malaria, dengue, filaria, chickungunya and Japanese Encephalitis, and Kala Azar transmitted by sandflies are of public health importance due to large populations at risk and hence their huge annual disease burden. To tackle these diseases, there is a national programme namely NVBDCP (National Vector Borne Diseases Control Programme) which also maintains a database of most of those who report with the above diseases in Govt. health system. In the context of climate change and rapid urbanization, there is a definite possibility of resurgence of the now controlled VBDs and emergence of newer VBDs. A case in point here, is the increasing number of cases of Dengue every year in urban India. Hence there is a need for us to be better prepared to tackle these ever dynamic diseases with modern tools for responding in time, yet economically. This starts with the availability of tools to use the location information. The study of disease patterns with relation to people, time and place helps to identify clues to understand how to prevent or control the disease. This tool called “epidemiology” has helped us to elucidate the secrets of many of the diseases we know today, including VBDs. As the saying goes, “think globally, but act locally”, it is the information about the “place” which helps us in putting to use, the global know-how of any disease. Identifying the location of these diseases helps us to map the disease clusters and study the unique risk profile of the location with respect to their inhabitants’ living conditions and behaviours, the vector breeding proneness or malfunctioning municipal health systems. Identifying the proximity of mosquito breeding areas to human habitations. Generating citizen awareness by using the “risk maps” as tools for effective health communication and sustained behavioural change. Malaria has a historical connection with Hyderabad, being the place where Sir Ronald Ross elucidated the role of female anopheles mosquitoes in transmitting malaria. In this predominantly urban district of Hyderabad, malaria is caused by mostly by Plasmodium vivax (Pv). The more severe form of malaria due to Plasmodium falciparum (Pf) also occurs in the district, but less often. The dynamic team in-charge of controlling Urban Malaria in Hyderabad, work in an organizational hierarchical structure of 6 sub-units, each with a designated secondary or tertiary hospital for people seeking treatment for fever. Each sub-unit is further divided into active sections which are the primary areas for active search for malaria cases that do not seek treatment at the designated hospitals or those who do not seek treatment at all. This helps to create a line listing of all cases of fever confirmed to have either P. vivax or P. falciparum (sometimes both) in their blood smears. Using Open JUMP, a digital map of Hyderabad was generated demarcating the jurisdictions of the sub-units and active sections. The data of smear positive malaria cases for 2010 was obtained from the district health authorities and this was mapped to the area of their residence (active section). 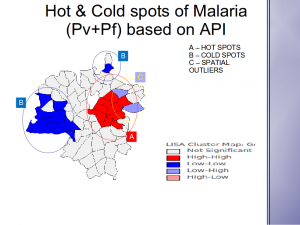 The spatial database included an index for all malaria cases (Pf and/ or Pv) called Annual Parasite Index (API), and another for the more severe malaria cases (Pf) called Annual Falciparum Index (AFI) for the 71 active sections. Following the statistical methods of spatial autocorrelation, using GeoDa we identified disease clusters using global Moran’s I, which is a statistic similar to Pearson’s Correlation coefficient. A zero Moran’s I indicates complete randomness. The more positive than expected from random, it indicates the presence of clustering of similar values across geographic space, while a significant negative spatial autocorrelation indicates that neighbouring values are more dissimilar than expected by chance, suggesting a spatial pattern similar to a chess board. A further localizing statistical method called LISA (Local Indicators of Spatial Association) helps to identify the hot-spots and cold spots. The hot-spots are clusters of areas with a greater disease occurrence, where a deeper study may reveal among many factors responsible, failing vector control efforts, poor health care service availability or utilization etc. In contrast cold spots are the clusters of areas with a lower disease occurrence. Studying them further may help us understand how a greater disease control was achieved. However, cold-spots may be spurious resulting from a complete failure of the monitoring mechanisms where no data is reported. In this case, it can be checked by the Annual Blood Examination Rate (ABER), the proportion of residents tested for malaria parasites in their blood smears, which should be a minimum of 10%. 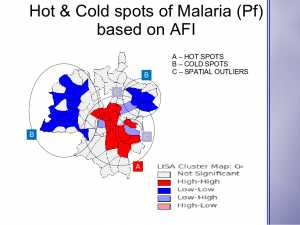 This case study revealed significant clustering of malaria cases in Hyderabad across the boundaries of control jurisdictions suggesting a need for tools enabling the control teams to visualize the disease patterns and help them work in a co-ordinated effort. Also, spatial analytics with availability of more variables of health service access and key resident behaviours helps us to identify the reasons for the differential disease burden in the hot-spots and cold-spots. This will support the public health workforce in working towards the goal of regional elimination of malaria, in order to make India malaria free. There are challenges in carrying out this analysis. Primary challenge is getting spatial data. Public data catalogues like http://data.gov.in/ have datasets which are updated at regular intervals. But correlating them with spatial data, zoning them, finding meaningful clusters is a challenging task. Open Source Tools like Open JUMP, gvSIG have geoprocessing toolsets for carrying out analysis, but they can be more customized to suit the Public Health Domain. Other challenge apart from updating the spatial datasets at regular intervals, is providing a collaborative platform to all stakeholders. This platform should be capable of enabling different stakeholders to feed data, perform analysis and share results. 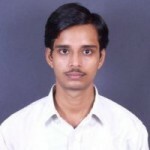 Dr Aravind Manoj has completed his MD in Community Medicine from Osmania Medical College. During his research about Malaria, he took help from KAIINOS to perform spatial analysis of spread of Malaria in Hyderabad. Subsequently he published his work at International Conference of Epidemiology, Pala in 2012. 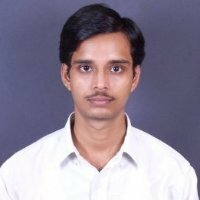 Currently he is working as a faculty at Kamineni Academy of Medical Sciences & Research Centre, Hyderabad and pursuing his research in Community Medicine and disease prevention by working with other like minded people and societies. Great work arvind, very proud of you. Very impressed by the statistical methods and information technology you have used. I drongo lot feel you should take this a level ahead and do similar study for dengue and c.gunya. this can be a good paper ina parasitology journal, I think you should write it up. I am also associated with Odor Control System in india, Industrial Humidification manufacturers in India, Outdoor Cooling System solution, Humidification for Tea Industries, and love to enjoy the stuff on the same as its rarely found on internet. Thanks again for writing such a good post.